Our licensed bridge engineers have been engineering high quality transportation structures in California for more than twenty years. Our projects include new highway structures, bridge replacements, road widenings, rehabilitations, seismic retrofits, pedestrian overcrossings and railroad bridges. Our engineers are also experienced in designing the incidental structures associated with transportation projects such as retaining walls, sound walls, sign structures and box culverts. We also provide Quality Assurance (QA) and Source Inspection Quality Management Plans (SIQMPs) on large-scale projects. Lori Burne, Burne’s President and Principal Structural Engineer, has led the development of SIQMPs for Caltrans. Burne engineers are well versed in the current AASHTO LRFD design code and all applicable Caltrans’ standards. We use industry-standard analysis software tools such as SAP2000, VBridge, VBent, LPile and PGSuper. 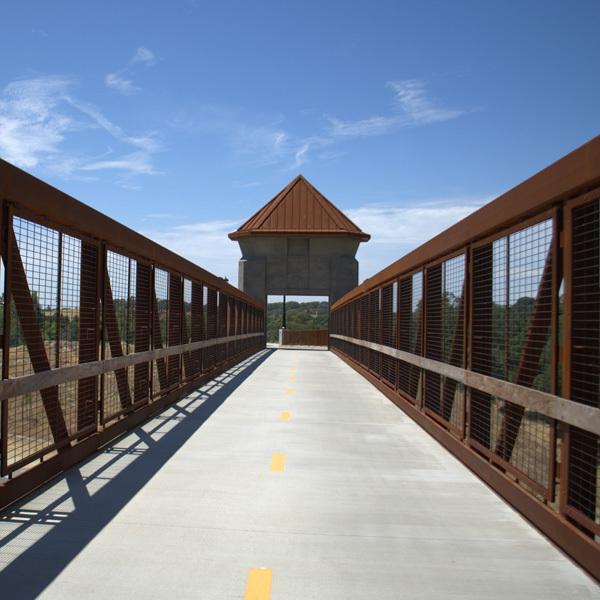 In the last five years, Burne has designed and/or checked more than twenty Highway Bridge Program (HBP) projects in northern California. We have worked on projects funded by FEMA and SR2S, and the federal BPMP program.